Discussion in 'Open Discussion (Work-safe)' started by TRON, Dec 2, 2006. Beastmaster is one of the greatest cinematic achievements ever. Just wanted to put that out there. Muck and Smudger like this. A love story for the ages. 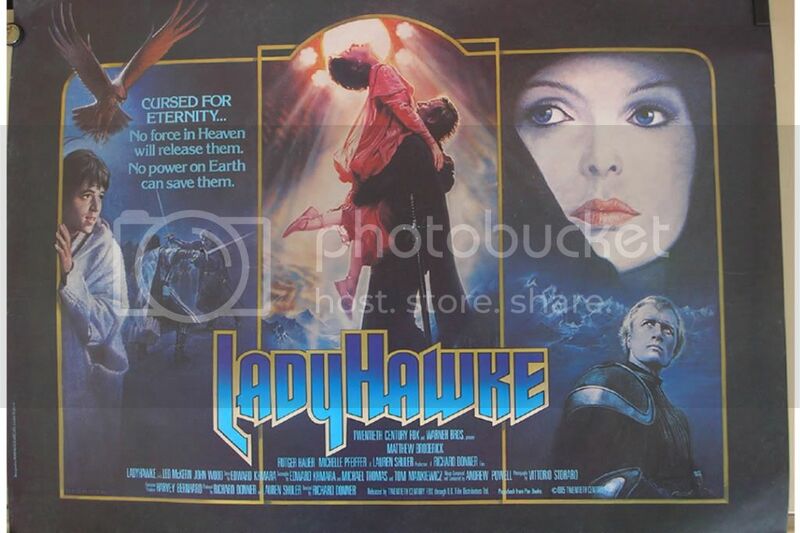 Another fine Rutger Hauer film. Never was big fan of short hair on women, but Michelle Pfeiffer was definitely able to pull it off. An early role for Alfred Molina as well, although his wolf trapping skills weren't what I would consider some of the best. Best hollywood summer popcorn flick ripoff of an anime series that's ever been made. Hilarious movie. Couldn't have picked a better actor to play Erik the Viking other than Tim Robbins. Definitely one of my favorites in the sci-fi comedic realm of films. "A Sound of Thunder" just because I wanted to see Ben Kinsley's hair again. Don't know which movie was better or worse (in terms of time travel): "The Time Machine" or "A Sound of Thunder"
The fake dinosaurs kind of seal it for me (as the one which is worse). Phenomenal. Really liked it. 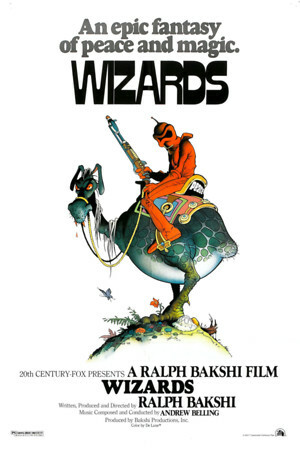 Very well crafted piece of work by Ralph Bakshi. Makes me still not like Fairies though. Pretty much the original conscientious objectors. watched Gone on Showtime the other night. Had Amanda Seyfried in it. I have to say, I was surprisingly caught up in it, and the ending was quite intense. Pleasantly surprised. Looking back over the list of 80's sci-fi films that I loved, I realized that I'd forgotten just how many there were. So instead of one massive list I'm going to break them up into loose categories & put up a few at a time. The Adventures of Buckaroo Banzai Across the 8th Dimension - Quite simply the greatest movie ever made. Battle Beyond The Stars - Essentially a remake of Seven Samurai made to try & take advatange of the Star Wars craze. Stars John Boy from The Waltons. Stock footage of the space battles was re-used in B Sci-Fi movies throughout the rest of the 80's. Howard The Duck - This is what happens when you leave George Lucas without adult supervision. The Last Chase - Gasoline powered automobiles are outlawed. Former racer Lee Majors eventually gets sick of the government, digs up his old race car & makes a run for the freedom of California (LOL). The government can't let that happen so they recruit an old fighter jock (Burgess Meredith) to hunt down the fugitives while flying the sweetest F-86 you'll ever see. Did I say fugitives (plural)? Yes I did, along for the ride is the gay kid from My Bodyguard. The Ice Pirates - Jive talking Kung-Fu robots. Do I really need to say anything more? Lifeforce - The shuttle encounters an alien space ship & brings back hot naked space vampires. It's even better than it sounds. Maximum Overdrive - This is what happens when Stephen King directs one of his own stories while on cocaine. He also loves AC/DC. 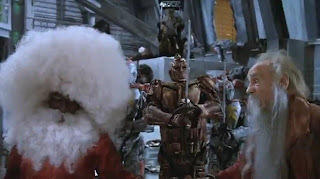 Megaforce - If the UN ever creates their own rapid reaction force, this is what it will look like. Metalstorm: The Destruction of Jared-Syn - If you're looking at a movie titled "Metalstorm: The Destruction of Jared-Syn", you already have a good idea of what to expect. The Philadelphia Experiment - Conspiracy theorists will be familiar with the title. If not, in the late 40's the US Navy allegedly experimented with making ships invisibile, and accidentally ripped a hole in time & space. Oops. Spacehunter: Adventures in the Forbidden Zone - Another Road Warrior inspired post apocalyptic romp on another planet. Molly Ringwald's first film & Michael Ironsides is a larger than life villain. Star Crystal - Astronauts accidentally bring an alien life form on board their ship which begins hunting them down & killing them. Sounds pretty standard right? Well then it gets weird. They Live - Unemployed construction worker Rowdy Roddy Piper finds a pair of sunglasses that cause him to realize that society is secretly being run by alien invaders, just like David Icke said! Yor, the Hunter from the Future - If you're a fan of truly awful movies, this is a cornerstone moment in your life. The Day After - A made for TV movie that provided the public service of letting us know that when the missiles started flying we'll all be fucked. Grave of the Fireflies - Hayao Miyazaki's heart breaking (animated) movie about hildren living in the aftermath of the atomic attacks on Japan. Miracle Mile - A sadly overlooked film. Anthony Edwards gets a mistaken phone call clueing him that the missiles are about to fly (see above), he spends the last hour or so (the story plays out in real time) trying to find his love at first sight girl & escape LA before the fiery oblivion. The Quiet Earth - OK not technically a film about the pending nuclear holocaust, but it is a film about how even if you do manage to be the lone survivor, you're doomed to spiral into madness. Threads - The UK equivalent of The Day After. If the former is depressing, this will make you want to slit your wrists. Amazing Grace & Chuck - One of my favorite movies that no one else seems to have heard of. A far more optimistic take on the genre. But wouldn't it be nice? Manhattan Project - Another overlooked gem. HS kid makes atomic bomb by stealing plutonium from his mom's nuclear physicist boyfriend (John Lithgow). WarGames - By far the best known film here, but it still deserves mention. Early hacker culture is nicely displayed. The man-in-the-loop debate rings very true today. I love Ice Pirates. Introduced to this gem thanks to Fritz the Night Owl and Night Owl Theater. All-time classic that was a staple of HBO's sci-fi rotation for almost a decade. The only B sci-fi/horror film I've seen as much as They Live was probably Evil Dead 2: Dead by Dawn. Metalstorm: The Destruction of Jared-Syn - If you're looking at a movie titled "Metalstorm: The Destruction of Jared-Syn, you already have a good idea of what to expect. The Day After - A made for TV movie that provided the public service of letting us know that when the missiles started flying we'd all be [censored]ed. I've seen Howard The Duck & it never ceases to amaze me when I see it on TV. They Live is one of my all-time favorites. I remember watching it all the time as a kid when I was big into wrestling because it had Rowdy Roddy Piper in it. Also a big Keith David fan, so that's always been high on my list. Also seen WarGames more than a few times in my day & always an enjoyable movie as well. AMC had it on all the time a year ago or so. Found a few more from the previous lists on Netflix, so once I finish with all of the easy viewing ones, I will move on to trying to find them at the library & the movie store. Thankfully I still have a functioning VCR, so I'm thinking it might be even more enjoyable to see these in there original viewing platform, not to mention it's going to save me $ when renting or buying them. Thanks again, Muck, can't give you enough props for supplying me with this plethora of viewing pleasure. So tragically cheesy. This was the first DVD Mrs. Katt and I bought when we happened upon it at Blockbuster for $9 probably 12 years ago. One of her favorites growing up. I may have enjoyed it more if I had any nostalgic attachment to it. That's the allure of it, really. It's incredibly cheesy, but that's why I enjoyed it. My roommate in college showed me how to truly appreciate films that are just downright awful or completely corny beyond comprehension. Movies I would've maybe watched for five minutes and refused to watch anymore, I now can enjoy thoroughly. This rationale really only applies to me with older movies though. I don't have the same sentiment with awful movies of today. My biggest problem with the stuff from the 80's is the synthesized music. I just can't stand it. I think maybe it is just a different type of bad movie that I enjoy. I'll watch craptactular SciFi (they will never be SyFy) original movies from the 90's and early 2000's all day if they were ever on. Those felt to me like they were trying to make decent movies and just happened to be failing awesomely. The garbage they are making right now is just insultingly bad. It is intentionally terrible, and I have very little tolerance for that. This is one of the ones that sticks out to me as one of the ones I really enjoyed for being awful. I'm shocked that it was made in 2005 -- I would have guessed at least 5 years earlier because I didn't think there would be anyway that John Rhys-Davies would agree to be in something like this after the LOTR movies. The 80's music is one of my favorite parts to be honest. Maybe because I was too young at the time to remember being bombarded by it in every movie, but It's definitely one of my favorite aspects of those movies. I'm completely with you about the SciFi movies. I effing love those. The fact they unintentionally made them so terrible is what keeps me coming back for more. It's only amusing when they tried to make a good movie out of it & failed miserably. Intentionally making an awful movie is whole different story & I'm with you that those blow. That movie looks incredible by the way. I'm definitely going to have to look that one up. Chupacabra on the Sea ? Yes, please. Speaking of danger on the Sea, I just saw this on TV not too long ago. Just got back from seeing The Heat. It was a cop buddy film with women...I did like the fowl language, and Melissa McCartney was funny. Sandra Bullock was what she always is, but there were explosions and people got shot.